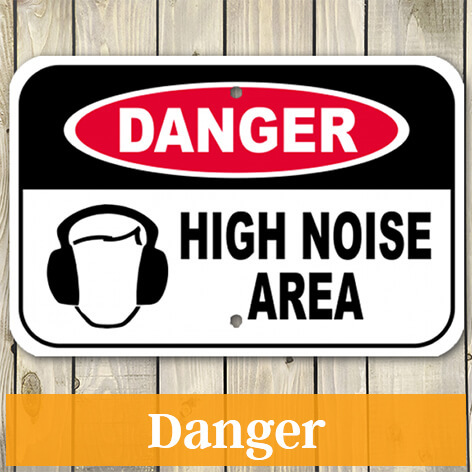 We offer a variety of custom safety signs to fit your needs. From pool to school, ensure proper safety policies are prominently placed to prevent possible accidents or injuries. 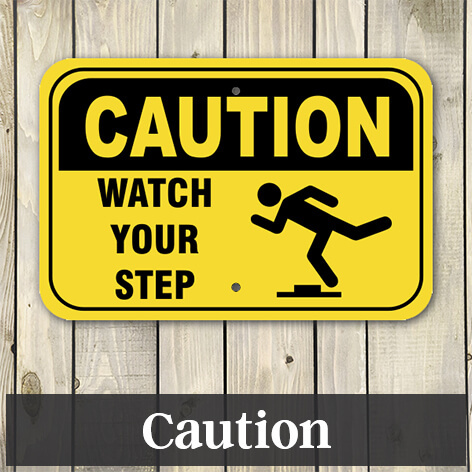 These eye-catching safety signs are designed for both indoor and outdoor use. 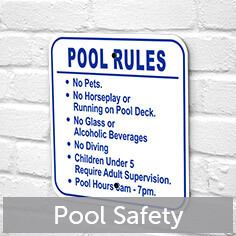 Pool Safety - Clearly display pool safety signs to display rules, hours, or warnings. 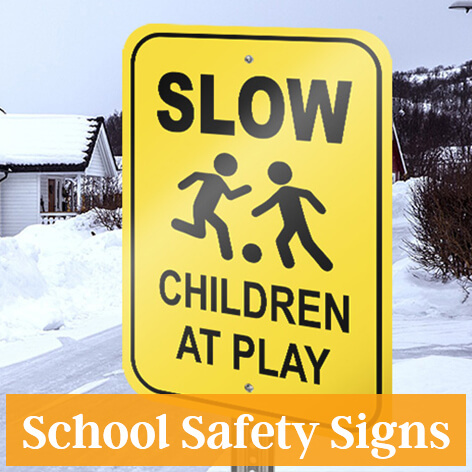 School Signs - Mark school zones, children at play, slow, or other school safety signs to keep kids safe. 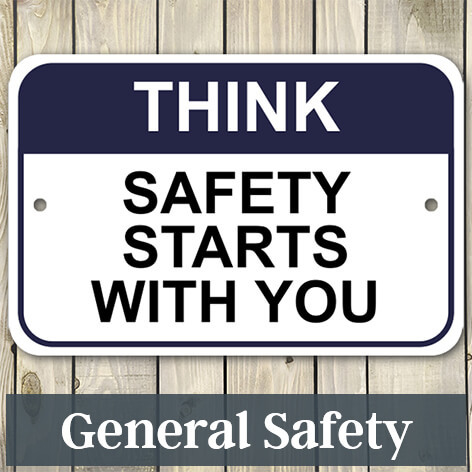 General - Choose a stock safety sign with general phrases or customize a sign with your own message. Caution Signs - Yellow caution signs signify hazards that could cause minor to moderate injury. Danger Signs - Conditions that have a high likelihood of causing severe injury or death must be marked with red, white, and black danger signs. Warning Signs - These signs advertise that serious injury or death could occur in a given area. 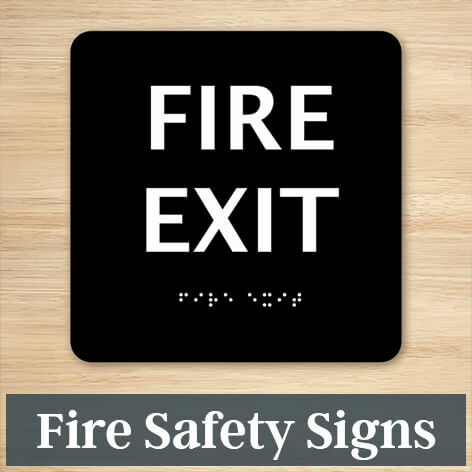 Fire Safety - Prominently mark emergency exits, extinguishers, or assembly points in case of a fire with these signs. 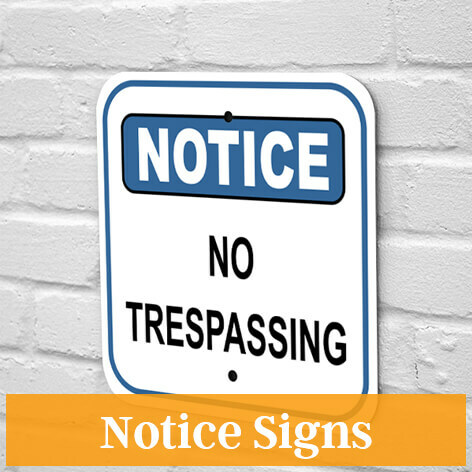 Notice Signs - Inform employees and guests of specific rules or restricted areas with our line of notice signs. 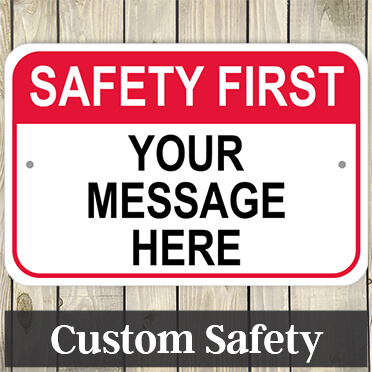 Custom Signs - Design your own custom safety signs to fit your or your company's unique needs. 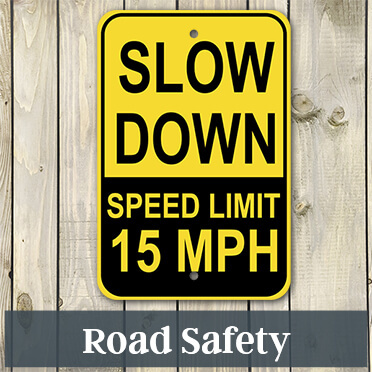 Road Safety - Clearly mark slow zones, restricted roads, or wildlife alerts with an eye-catching road safety sign. Product Disclaimer: Buyer is responsible for compliance with applicable safety standards and regulations. Pre-designed safety signs and custom safety messages designed by the buyer may or may not meet applicable, local safety standards. 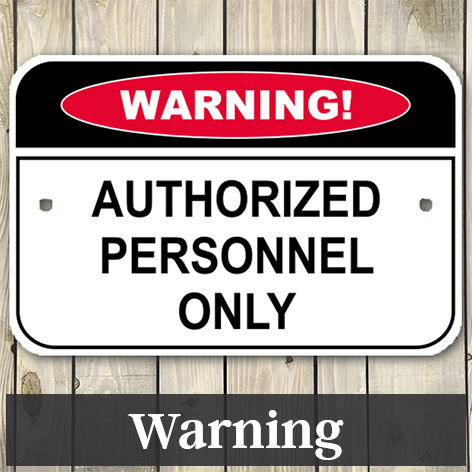 Before purchasing or customizing a safety sign at CustomSigns.com, be sure you are aware of the standards and regulations for signage in your workplace, particularly signage required by OSHA or ANSI. Find information for caution, warning and danger sign meanings here.